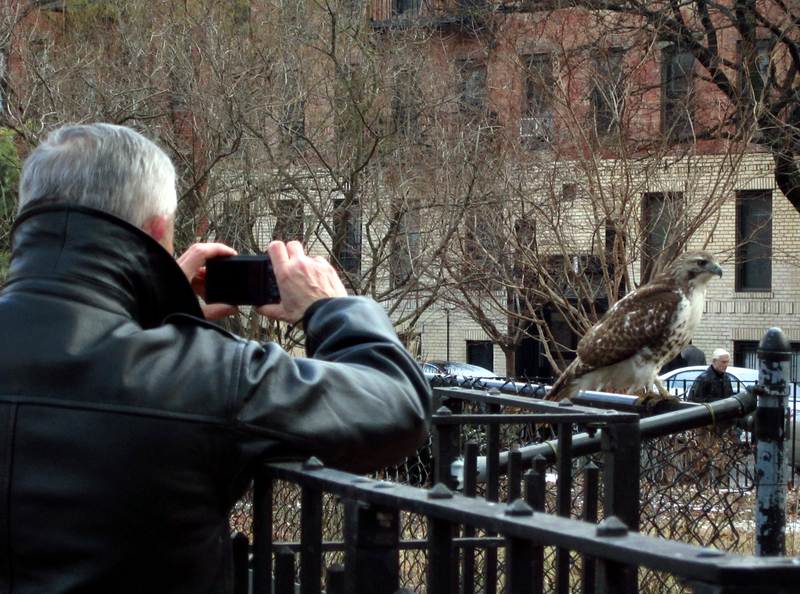 For some really spectacular shots of the Tompkins Square hawks in action, check out François Portmann's photography site. That hawk is a natural! You should see if you can get managerial rights for the modeling gigs! 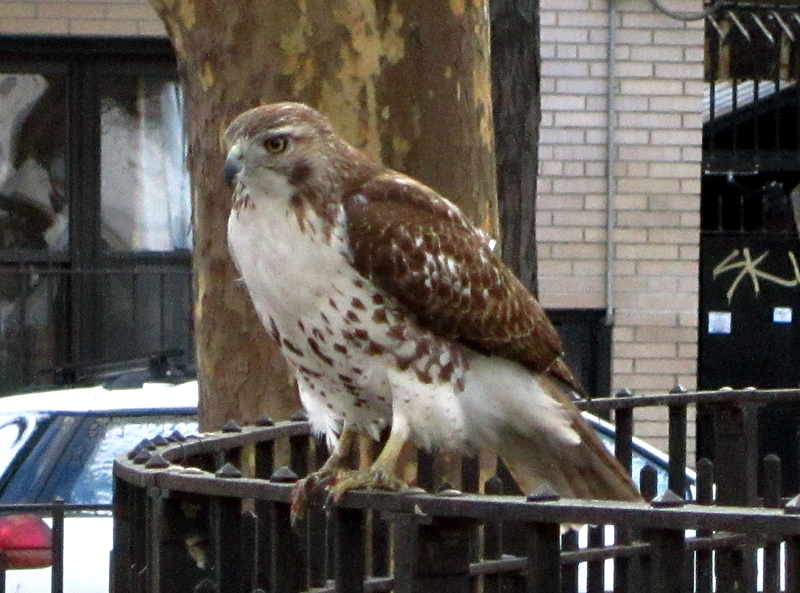 He came swooping down from a tree right over my head just as I entered the park yesterday. I practically had to duck. Haha, they really do seem to love the attention. Yes! I grew up in a wilderness area, but I've never been able to approach a wild bird of prey like this. I think they like diving at heads!